Sony have announced what could be the world’s most bonkers MP3 player. The Sony Rolly (or the SEP-10BT to give its less-inspired formal name) is shaped like an egg, and you control its functions by either twisting it or rolling it. Even more impressively, the Rolly can actually dance in time to the music, spinning and opening the flaps on its side to the beat. 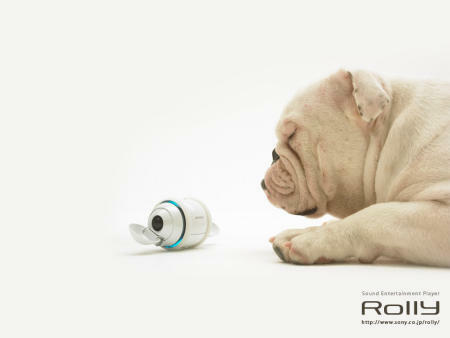 More details and pictures of the Sony Rolly after the jump (puppy not included – sorry!). Although clearly being marketed as part MP3 player part toy, the Rolly is actually quite well featured, offering 1GB of flash memory, USB, Bluetooth, and support for ATRAC and MP3 music formats. Better still, users can download both music and packages of dance moves for the weird egg-like device, so you never get bored with the same motion. Users can also create their own dance moves on a PC and send them to the Rolly via Bluetooth. 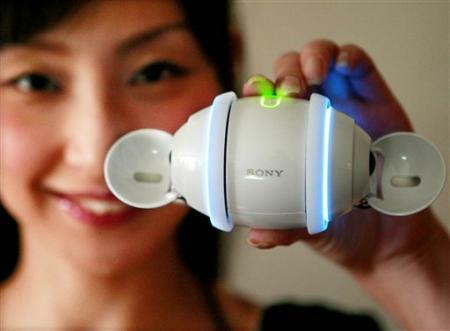 Currently, the Rolly is only set for Japan, but Sony are considering selling it in other markets. Personally, I think they should – in fact, I think it’s a no-brainer, as this is by far the most innovative that’s happened in the MP3 market for a long time, and it’s great to see Sony finally hitting back with some genuinely innovative gadgets. It even makes the iPod Touch look out-dated! 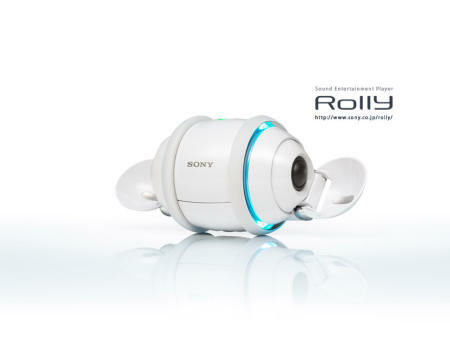 The Sony Rolly will go on sale in Japan on September 29th, priced $354.